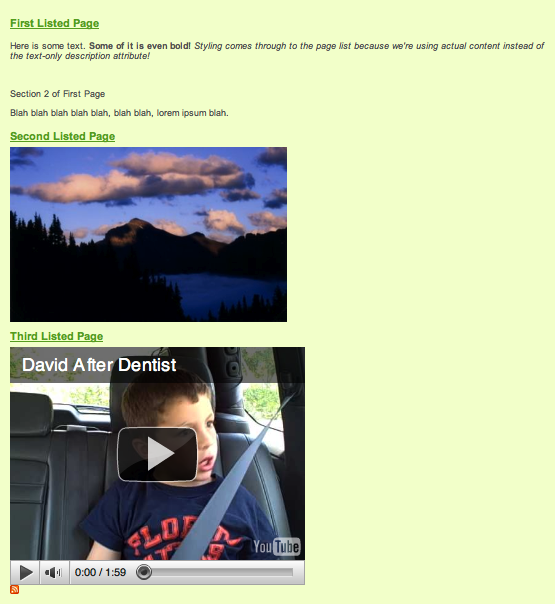 This addon provides a custom template for the Page List block that displays actual content from the page instead of the "description". 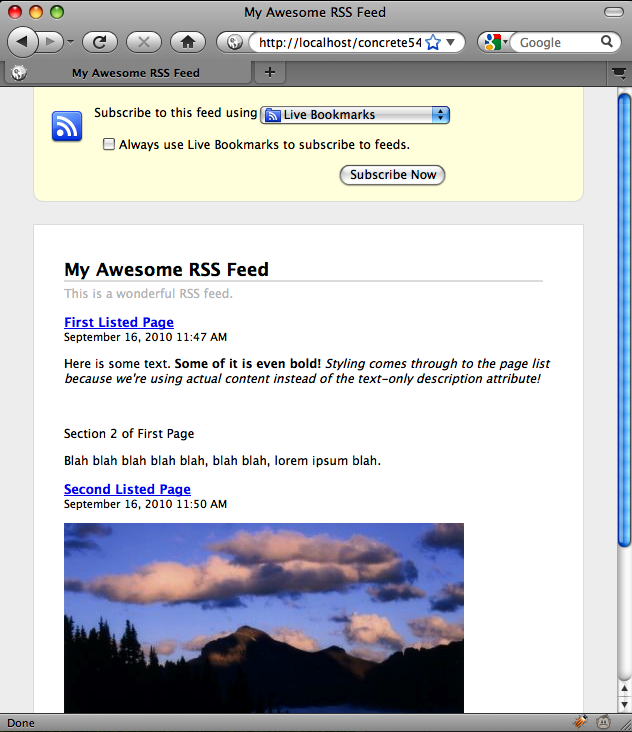 (It also applies to the block's RSS feed). UNCHECK the "Truncate descriptions" checkbox. CHECK the "Truncate descriptions" checkbox and leave the "after ___ characters" box empty (or 0). CHECK the "Truncate descriptions" checkbox and enter a number into the "after ___ characters" box. Click on the block and choose "Custom Template" from the popup menu. Select "Teasers" from the dropdown menu, then click the "Update" button.